As a taxpayer, you know the importance of choosing the right accountant. 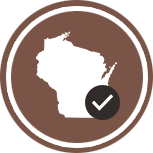 Anderson, Hager and Moe, S.C. is a full-service public accounting and consulting firm serving customers throughout Northwest Wisconsin. We offer a broad range of accounting services and involve senior members of our firm in all client work with the goal of maximizing each client’s financial success. To help achieve the success of our clients, Anderson, Hager, & Moe’s CPAs have demonstrated professional competence by meeting high standards in education and experience. Each of our CPAs has passed rigid nationally-uniform examinations and meets state licensing and continuing education requirements. A professional, forward-thinking accounting firm is indispensable to the success of your small business. The CPAs at Anderson, Hager and Moe have years of experience guiding clients through the day-to-day challenges of running a business. 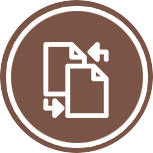 We take a proactive approach to anticipate issues before they become problems. 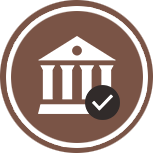 Our approach is to look at your entire financial picture and to address the unique needs of each of our clients. Click Here for a complete list of the services provided by Anderson, Hager and Moe. 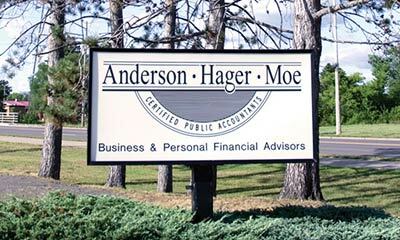 If you’re looking for an accounting firm with a reputation for professionalism and integrity, call Anderson, Hager and Moe. Why work at Anderson, Hager, and Moe? We are always seeking top-notch individuals to join our team. Click here to learn more!